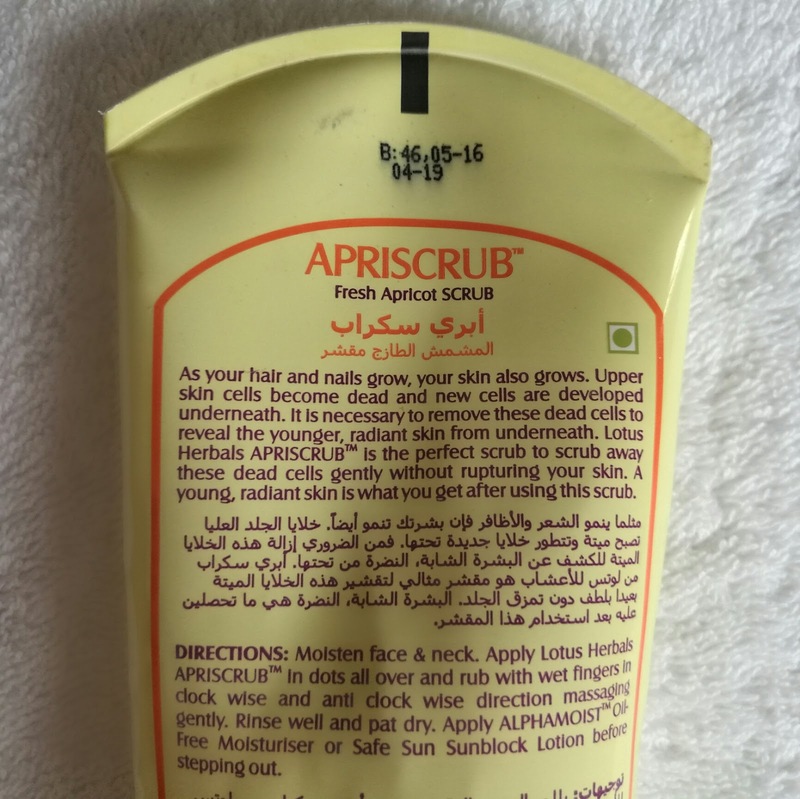 Summer-months are fast approaching.It's time to show some more love to your skin and what better way can be there than getting rid of all the dead-skin cells by using a scrub!!! This is the first product from Lotus Herbals that I ever used! Let's find out together whether this product is worth the money or not! 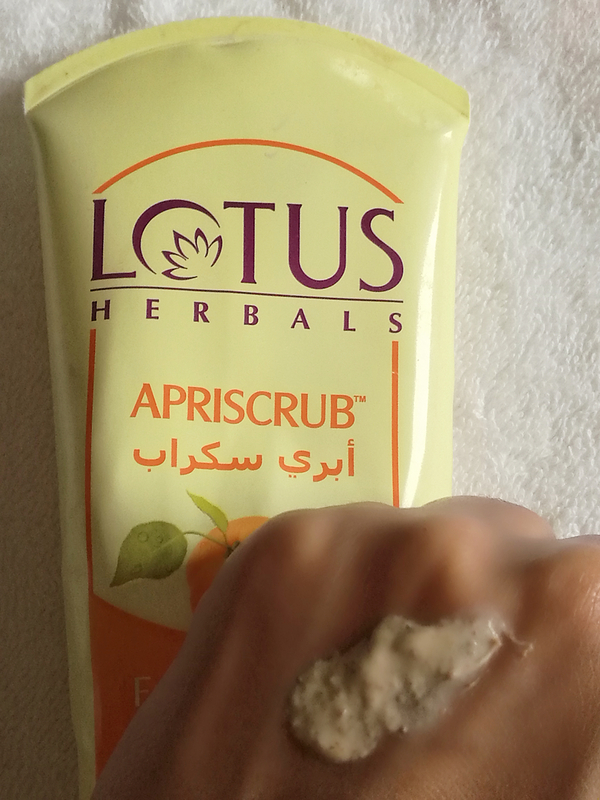 Moisten your face and neck.Apply Lotus herbal's Apriscrub.In dots all over and rub with wet fingers in clockwise and anti- clockwise directions massaging gently. Rinse well and pat dry.Apply ALPHAMOIST oil free moisturizer or Safe-Sun sunblock lotion before stepping out. *Squeeze-out the product in a small quantity (coin-size) and scrub gently in circular motions. *Use a light-hand while scrubbing,doing this will not cause any skin-rashes and still exfoliate the dead skin-cells. *It works.It removes dead skin-cells and let's the skin breath! 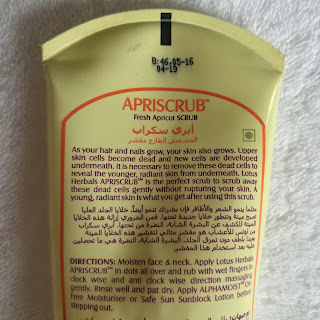 *Use this product on hands and feet instead of face. *After,scrubbing(hands/feet) don't forget to moisturize generously!